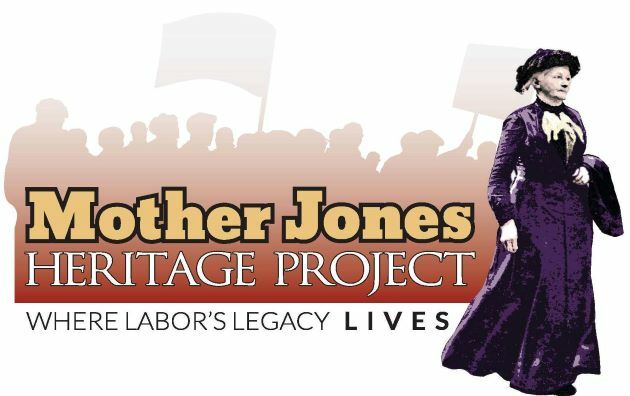 Some news in from our friends at the Mother Jones Heritage Project in Illinois with thanks to Prof. Rosemary Feurer. 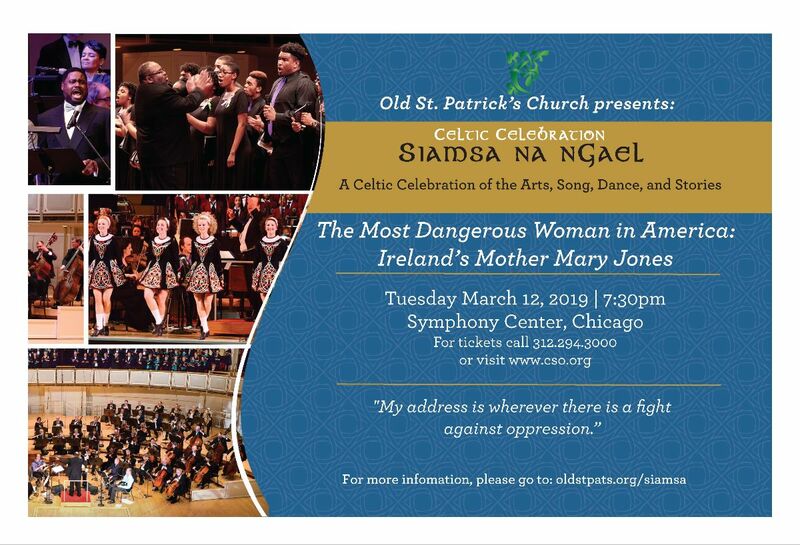 Tickets go on sale tomorrow, 4th February for what promises to be a highly impressive performance of the 2019 Siamsa na nGael – a Celtic Celebration of the Arts, Song, Dance and Stories. Tickets are on sale beginning February 4. Post performance and sponsorship packages are available by calling 312-798-2348. The event takes place at the Old St. Patrick’s Church in Chicago. Next there’s the equally exciting performance of the musical Mother Jones in Heaven by the inimitable Si Kahn who performed at the Spirit of Mother Jones Festival in Cork in 2014. 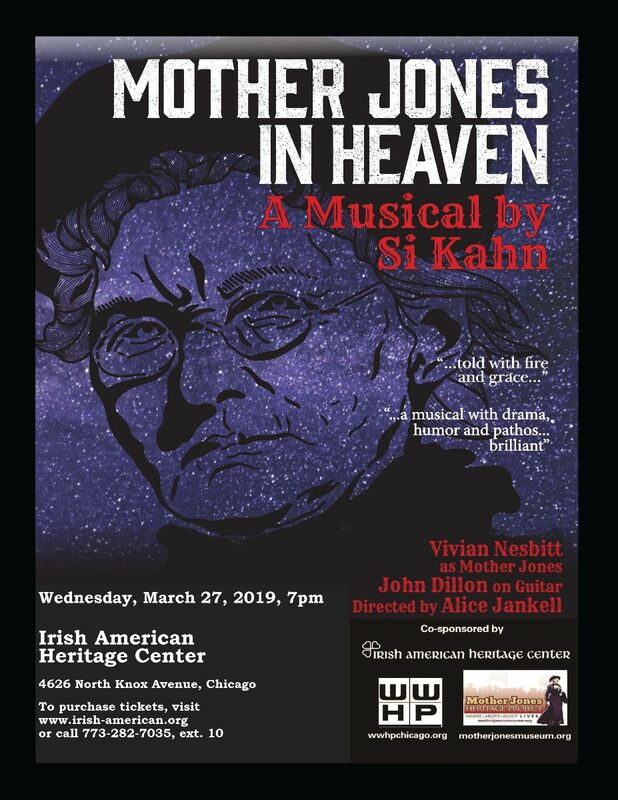 The musical will be performed on Wednesday, March 27th 2019 at 7.00pm at the Irish American Center in Chicago. There’s also the Mother Jones May Day Birthday Party on May 1st celebrating Mother Jones unofficial “American birthday” at the same venue, followed by the opening of a brand new Mother Jones exhibition by artist Lindsay Hand. The exhibition and works are funded by the Government of Ireland.